Cycling is the best way to see and experience the people and culture of the area in a eco friendly environment. 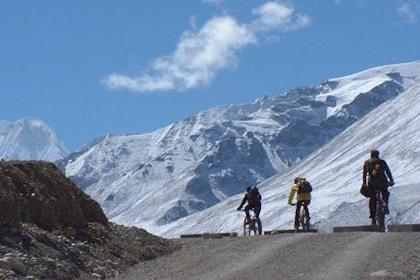 Cycling in the highest and largest plateau of earth “Roof of the world” is an adventurous, exciting and thrilling trip. 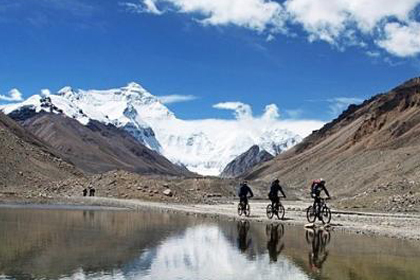 Cycling along the friendship highway heading to Nepal via Everest Base Camp, Touch Kailash Travels and Tours organize all the necessary arrangements. Our Guide, cook with all Nepali supporting crews are helpful, honest, hardworking and friendly who provide you excellent serive while cycling. Normally we fly from Kathmandu to Gongar airport (Tibet). It is around 1:15 minute flight duration. The views of snow capped mountains from the flights are scenic, the world highest mountain is just below your airbus. 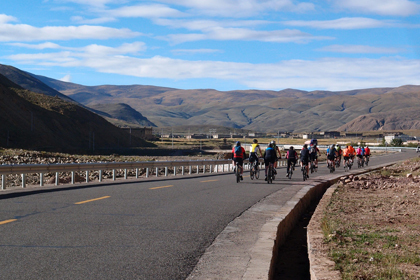 Then we drive for around 65 km to the main capital city of Lhasa. While cycling from Kangsar(boarder of Pakistan) to Kathamandu we always have supporting vehicle to complete the trip in 22 days. We can be little flexible in our trip outline like we have option of cycling and driving in the begging. 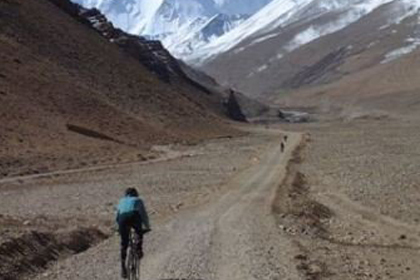 Cycling Lhasa to Kathmandu, we fly to Gongar airport (Tibet) from Kathmandu. The views of snow capped mountains from the flights are scenic; the world highest mountain is just below your airbus.